Few months back we posted about how to create a script to make windows narrator speak any text you want and also add it to startup so that it will narrate a welcome message when you boot into your desktop. 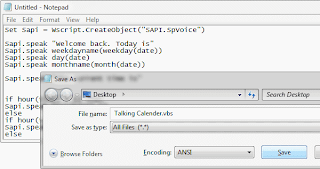 Here is a modified version of that same trick that will make your computer speak and tell you the current date and time. Obviously the best way to implement this trick is to add the narration script to your windows startup so that whenever you log into your desktop your PC will automatically speak and tell you the date and time of the day. 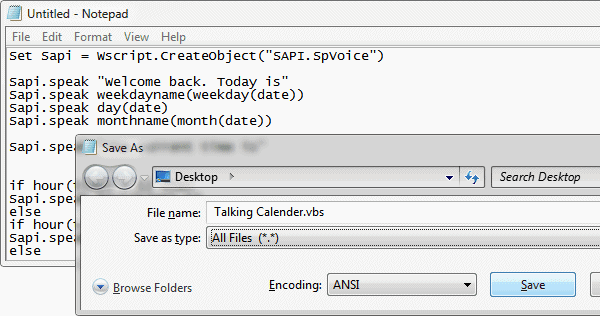 Open Notepad and create a VB script file using the code below… and save it as "<name>.vbs"
The Code : Click Here for the Code. | Else Download the VBscript. Once done, double-click on this file to check if its working. Now all you need to do is to make sure it runs automatically on startup. 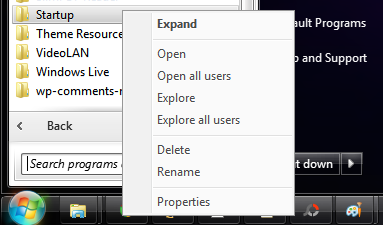 To do so open your windows Startup folder, Go to Start > All Programs > Startup and right-click to select Open. Once this Startup opens, simple place the .vbs file there. You must be doing this from an Admin account. Confirm the security prompt and thats all. You can also set it up using theWindows Task Scheduler [+]. From now on every time you boot and log into your PC, windows will welcome you back and narrate the current time and date which I think is quite useful considering the fact there isn’t any default option in windows that let you do this unlike Mac OS. There are many free apps that tells you the time on windows like this Talking Clock gadget for your Windows 7 sidebar and applications like SaytheTime.